Congratulations to NET 16 Thunder for making the Silver Division semifinals (placing 15th out of 36 teams!) at the East Coast Club Championships in Pittsburgh in May! NET Teams Have Outstanding Success at Regionals!! 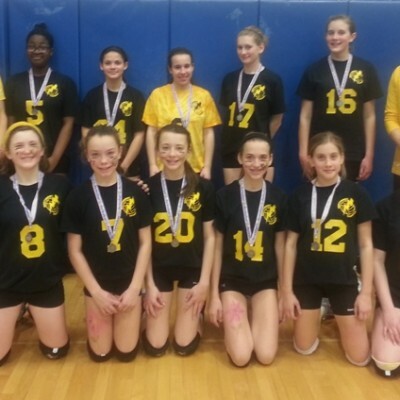 13 Blizzard – Silver Division Champions! 14 Thunder – Gold Division Semifinalists! 14 Lightning – Bronze Division Champions! 15 – Diamond Division Champions! 16 Thunder – Gold Division Quarterfinalists! 16 Lightning – Silver Division Finalist! 18 Thunder Gold Division Finalists! 14 Thunder has a great time finishing first at the April 7th Block Party Tournament! Congrats to 18 Thunder for fighting their way to a second place finish at the April 6th Charger Rumble Tournament in Orangetown !! Congratulations to 13 Blizzard for their great performance (finishing in the quarterfinals) at the Great Nor’easter Tournament! Another outstanding performance by 16 Thunder, making it all the way to the quarterfinals in the Gold Division at the Great Nor’easter Tournament! Congratulations to 14 Thunder for their very strong finish in the Silver Division semi finals at the Great Nor’easter Tournament. 16 Thunder comes in 1st, again, in the March 3rd, Caroga Lake March Madness Tournament! 16 Lightning makes to semi finals in the March 3rd, Caroga Lake March Madness Tournament! 18 Thunder advances to the semifinal round in the Bronze Division of the March 2-3 VFX Winter Challenge! 16 Thunder wins Feb. 23rd EZ Pass Tournament and 16 Lightning makes it to the semi finals! 14 Thunder wins Feb. 24th EZ Pass Tournament and 14 Lightning finishes second! 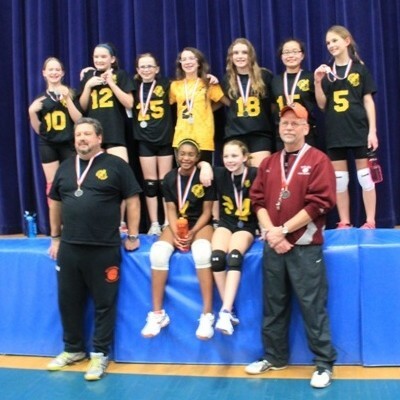 14 Lighting finishes 3rd in Feb. 17 Lakeside Presidents’ Day Tournament! 14 Thunder finishes 3rd in Feb. 16-17 Dig Your Sweetheart Tournament! 14 Lightning finishes second in Feb. 10 Stars & Spikes Tournament in Hudson Falls! 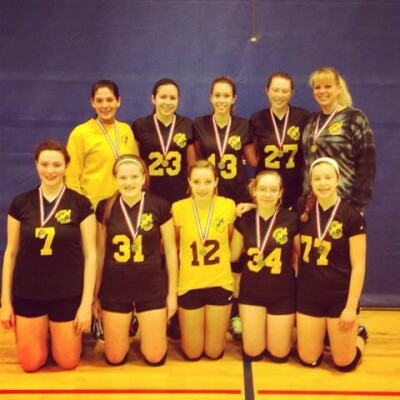 16 Thunder finishes second in Feb. 10 Dig Your Sweetheart Tournament in Seneca Falls! Congratulations to 18 Thunder for their second place finish at the Feb. 10 Caroga Lake Classic! Congratulations to 18 Thunder for their second place finish at the Feb. 3 Franchise Volley-Tine Tournament in Stillwater! 16 Thunder Advanced to Bronze Division Finals in Jan. 26-27 HocusPocus Tournament! January 20th Caroga Lake January Thaw Tournament!! Congratulations to 16 Lightning on their 2nd place finish in the January 13th Adirondack Tournament! January 6th Lakeside Blizzard Tournament!